I easily rounded up five fellow chilli-fiends, and we made our way to Victoria street on a Friday night. Peter welcomed us to the restaurant, and had a chat to us about the food. 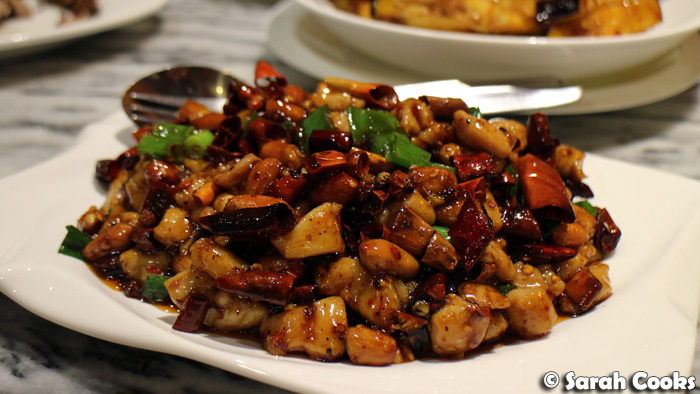 Interesting fact: did you know that Sichuan food is actually hotter in Melbourne than it is in Sichuan? Peter says that customers here judge the authenticity of Sichuan food based on the heat levels, and expect it to be so hot that restaurants have increased chilli levels to meet customer expectations, so much so that Melbourne Sichuan food has now become hotter than the food in Sichuan! Mind blown. We started with a couple of cold dishes. Normally I don't order cold dishes, preferring to save stomach space, however these came highly recommended. I'm glad we tried them - they were excellent! My friends, who, interestingly enough, also avoid ordering cold starters, really liked the salted cucumber in sesame. They thought that the cucumbers might have been pickled, but on reflection I think it's more likely they were cooked using the qiang method, using a brief blast of heat in the wok to drive the flavours of the spices into the cucumber. Either way, very delicious. Now, whilst the cucumber was good, I preferred the mung bean curd noodles in spicy sauce. It was like a more refined version of the chilli sesame noodles I knock up for myself for a quick dinner. I'd love the recipe for these, but I think it's a trade secret, hehe. I thought the wantons and dumplings (both meat-filled) were great, and I liked the fact that they were both served in different sauces. 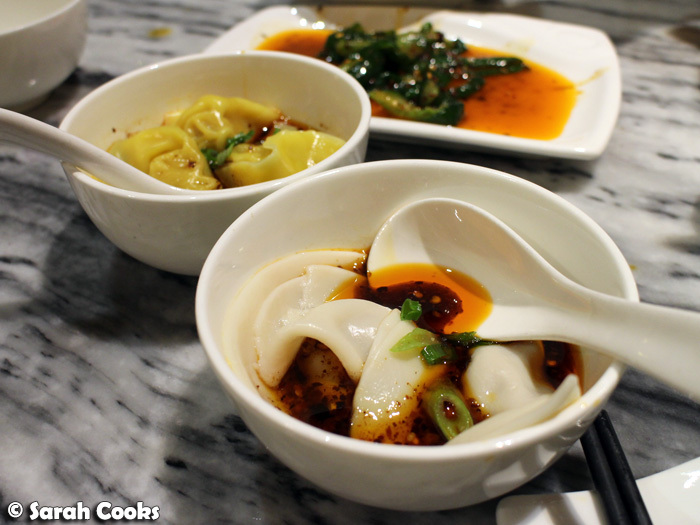 The wantons in chicken soup were a new taste for me (I'm used to Canto-style prawn wantons), and I really enjoyed them. 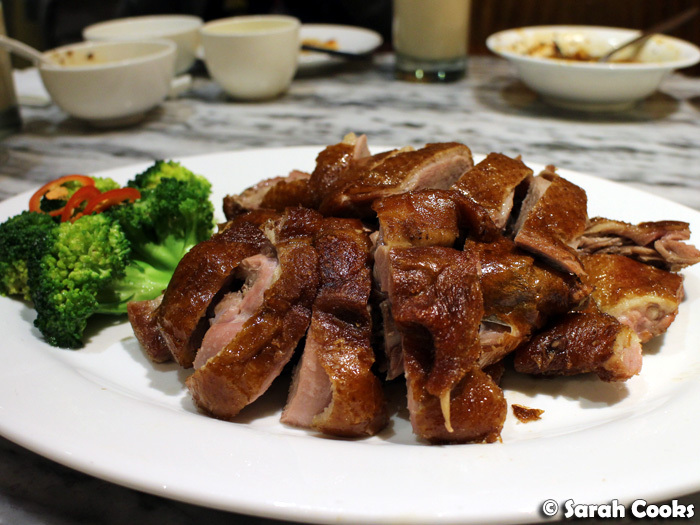 The Zhangcha duck was a bit of a surprise - it looked like normal Chinese roast duck, but had a rich smoky flavour. Duck bacon! The skin was crisp, and the meat was rich and tender. It was one of the favourites of the night. 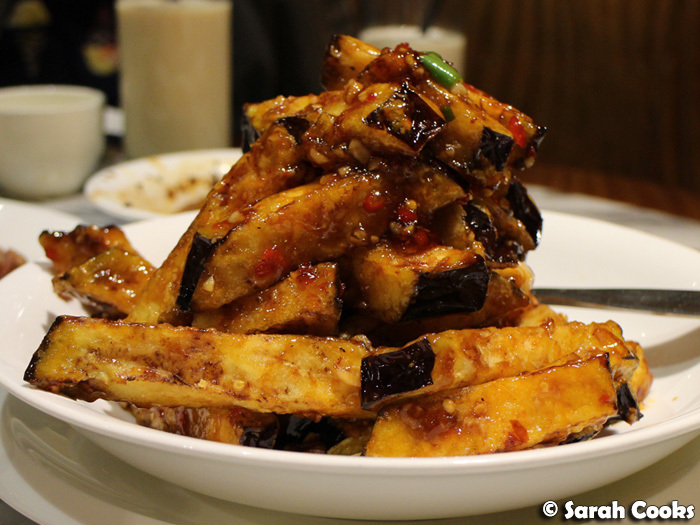 The yuxiang (or "fish fragrant") eggplant is one of their most popular dishes, and I can see why! Thick batons of eggplant were deep fried until lusciously creamy on the inside and lightly crispy on the outside, and then tossed through a sweet, sticky, spicy sauce. It was such a great mixture of textures and flavours! You may remember that when I wrote about Dainty Sichuan, I mentioned that I didn't like their fish fragrant eggplant as it was too firm. Here, however, it was just perfect! We were advised to eat this quickly, as it's best when it's fresh out of the kitchen, but I thought it was still good after it had cooled down quite a bit. (And just quietly, even microwaved leftovers were a total treat). Gong Bao chicken! 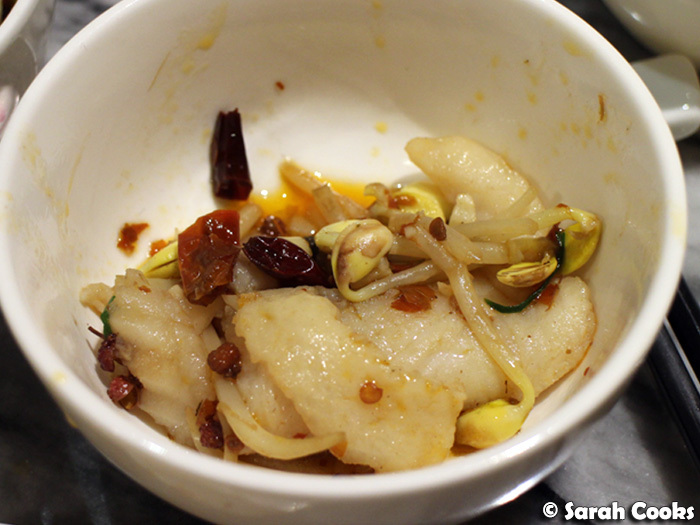 This is one of my "must order" dishes at Sichuan restaurants, and I thought they did a good rendition of it. Surprisingly though, it was one of the least popular dishes among my friends - there was nothing wrong with it, it was just that all the other dishes were so good that this was just okay in comparison. 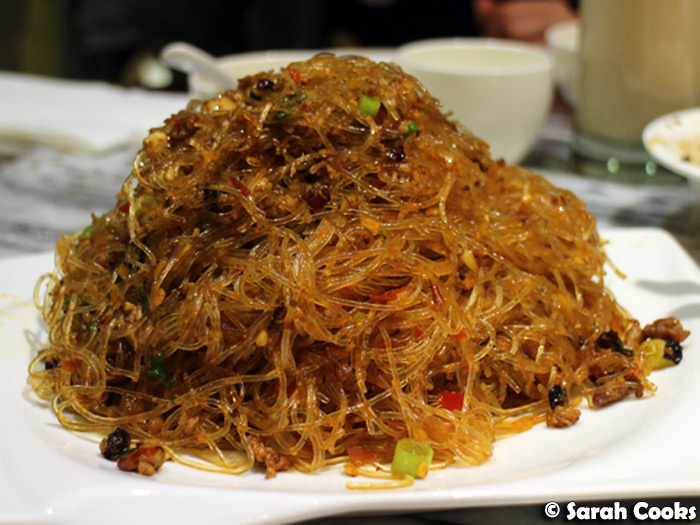 I'd read about Ants Climbing Trees, the traditional Sichuan dish of minced meat and vermicelli noodles, in my Fuchsia Dunlop books, but had never tried it myself before this meal. 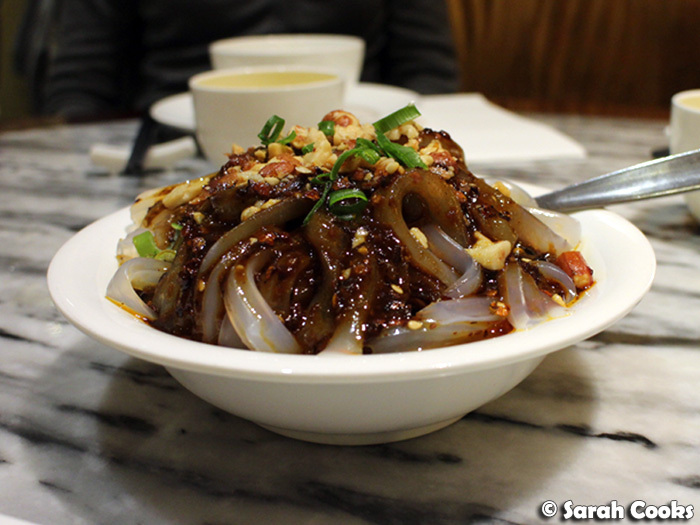 This dish reminded my friends and I (mostly Chinese, from Malaysia / Brunei) of char bee hoon, and we totally loved it! I got one of my friends to lift up the noodles so that I could get a picture of the "ants climbing a tree" effect. 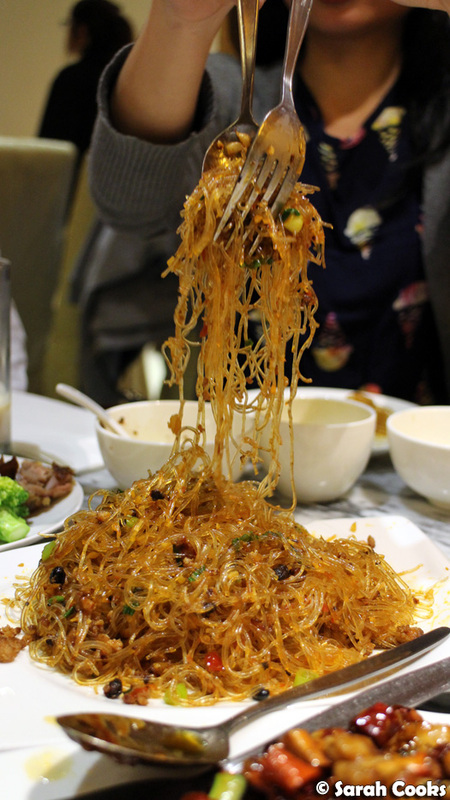 (The pieces of minced meat are the "ants", and the noodles are the "tree". Geddit?) Thanks for hand-modelling, Val! One of my favourite flavour combos is lamb with chilli and cumin, so I was really keen to try the fried braised lamb shank tossed in cumin and spicy salt. Although, I must say I always feel naughty ordering lamb with chilli and cumin, especially when it's deep-fried! My mum would say this is a very "heaty" dish and would give me pimples and a sore throat. Oops! The little chunks of lamb had a crisp coating and were nice and tender. They were also quite fatty, with some of the pieces being pure fat. (This can be a good or a bad thing, depending on what you're after!) 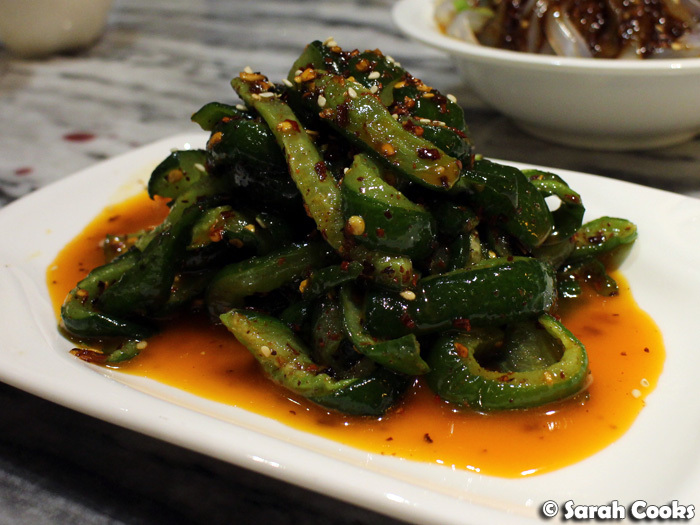 The spicy salt on top was very spicy, but so addictive. I couldn't stop eating it! And finally, a little sweet treat to finish off the night. 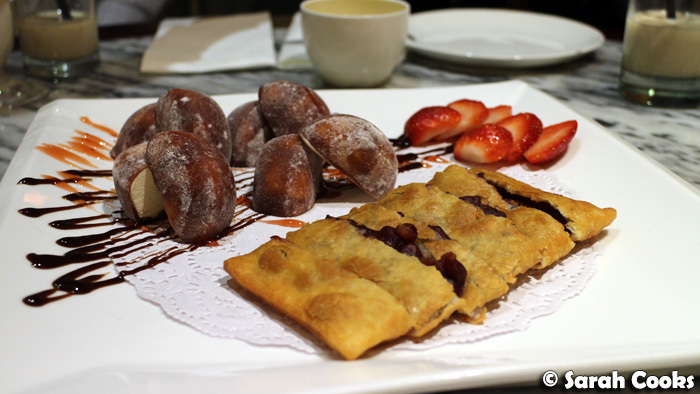 I loved red bean pancakes in general, and these were very good, so I was surprised to realise that I liked the mochi ice-cream balls even more. 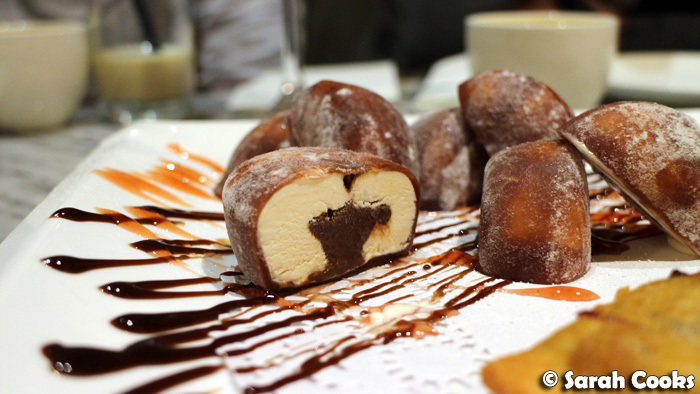 These little balls of vanilla ice-cream were filled with chocolate and covered in a thin mochi skin. I imagine that they were bought in, so if anyone knows where to buy them or can recommend a good brand, let me know! 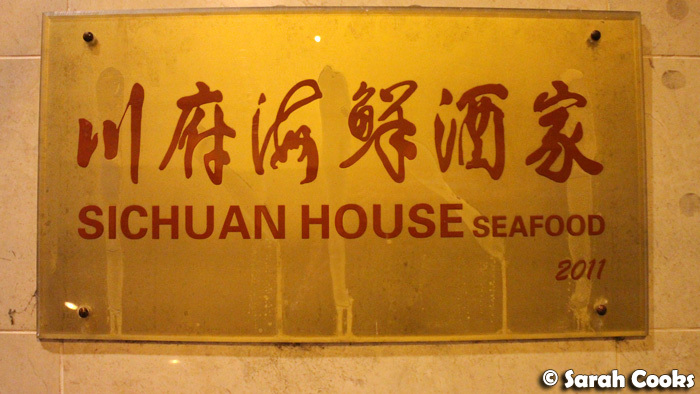 And that was the meal at Sichuan House Seafood! If you can't tell, we all loved it! We left with full bellies and big smiles on our faces, making plans for future visits. 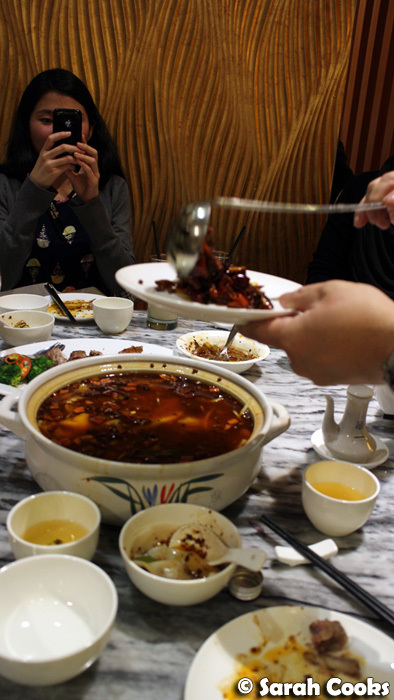 A big thank-you to Peter for the invitation, and for giving us an insight into Sichuan cuisine. Sarah and friends dined as guests of Sichuan House Seafood, with thanks to Peter. I absolutely love the fish fragrant eggplant here! Definitely one of the better ones in Melbourne! 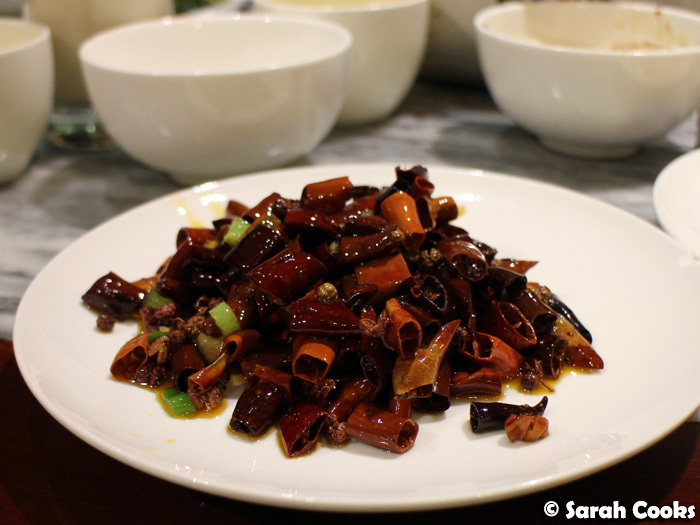 Let's do a Sichuan dinner one night. Wow... the Ants Climbing Trees that I used to make for my family did not look as enticingly golden-glossy as this! I'm ashamed. I've never seen ice cream mochi with such a thin skin of mochi before either! Mmm. Whoah that eggplant sounds incredible, but really you had me at duck bacon. OMG HELLO! 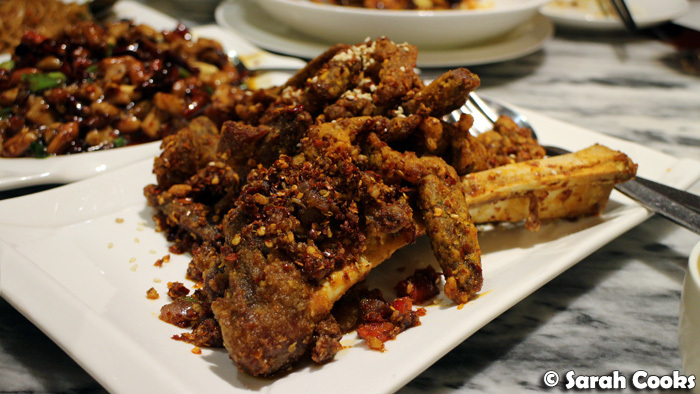 Sichuan food is hotter in Melbourne than in China? How interesting! 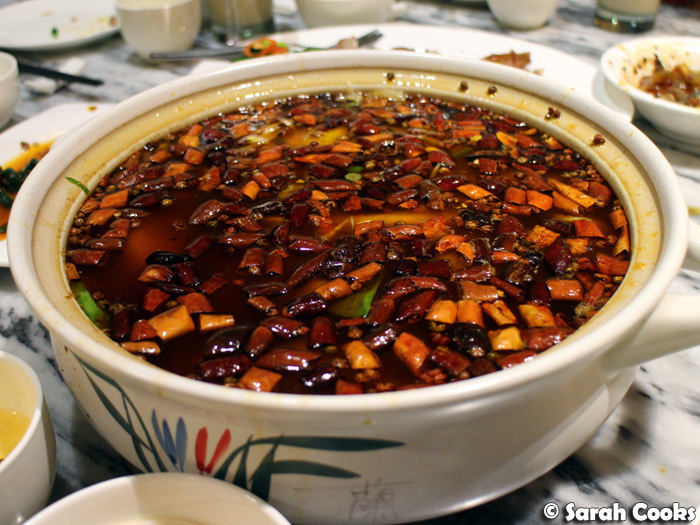 You love Sichuan food :) I'm starting to like it too the spicier the better! And they even have dessert Mochi!!! Another place I've gotta put on my list! Still need to make it to Dainty Si Chuan!